The DermEffects staff shares Dr. Loo’s passion for dermatology and providing advanced cosmetic and medical skincare treatments to help patients maintain healthy, glowing complexions. DermEffects features a team of aesthetic and medical specialists dedicated to providing excellent patient care in an inviting, caring environment. As one of the leading dermatologists in London, Ontario, Dr. Wei Jing Loo understands that having the support of talented and skilled staff is an important part of maintaining the practice’s established reputation for quality treatments. 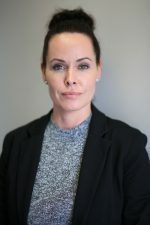 After working as a Medical Esthetician and Laser Technician under a plastic surgeon for nearly 10 years, Chassidy joined Dr. Loo at DermEffects in early 2013. Here, she has improved on her knowledge of laser technology and skin analysis. Her wealth of knowledge continues to grow, as Chassidy remains dedicated to staying at the forefront of the aesthetic industry as new technology and skin care procedures are introduced. She stays on top of current trends in cosmetic procedures and professional-grade skin care. When clients meet with Chassidy, they receive a customized clinical skin assessment and overall treatment plan for optimal skin health. Her clients consistently receive the highest quality of service and optimal skin care results. Her passion for helping clients look and feel their best is sensed by everyone she works with at DermEffects. In her spare time, she enjoys running and going to the gym and leading an active lifestyle based on total wellness and a balanced approach to life. 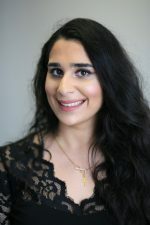 Dalal joined Dr. Loo at DermEffects in early 2016 and our clients appreciate her skills as a makeup artist and professional skincare specialist. Dalal’s passion for makeup artistry began when she was a little girl and she continues to enhance her skills by attending workshops, conferences, and other training opportunities in the beauty industry. Dalal is known for her patience and the respect she shows to her clients. She believes in empowering clients to make good choices when it comes to either makeup or skincare that best suits their specific needs. Whatever skin condition you may have — rosacea, vitiligo, or acne — she can tailor a skincare regimen and makeup options for your needs. Dalal’s talent as a makeup artist makes clients look and feel beautiful, confident, and flawless. She can help bring out your natural beauty for special occasions, such as your wedding day, graduation, or prom. 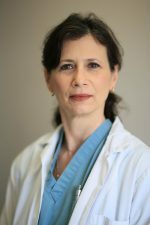 Tammy’s compassionate care and versatile skills in dermatology and minor surgery have made her a valuable asset for DermEffects. 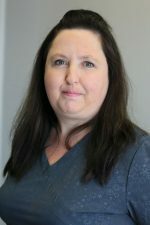 As a registered practice nurse, Tammy has spent more than 20 years providing care for patients in Southwest Ontario. Tammy assists Dr. Loo in the assessment of our medical patients and performs many dermatological procedures independently. In her spare time, Tammy can frequently be seen in her kayak on the waters of Lake Erie. She follows a vegan diet and leads a healthy lifestyle. With more than 20 years of experience in the healthcare field, Tina’s knowledge, organizational skills, and ability to multi-task are a few of the reasons our busy DermEffects office operates with efficiency and competence. Tina joined DermEffects at the outset of the practice’s launch in 2012 and she manages the office’s daily operations. She has extensive knowledge of and comprehensive experience in medical and cosmetic dermatology and research. Tina continues to update her knowledge and skills, ensuring the best care for patients during their visits. Tina enjoys going to the gym and needlework during her leisure time. Samantha is the newest member of our team. 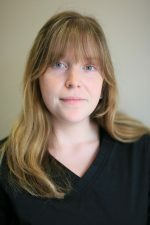 She graduated in 2015 from Fanshawe College with a diploma in medical office administration and has loved working in the medical field. She is the friendly, joyful and helpful person you meet at the reception desk the moment you enter DermEffects. She enjoys spending time with her family, drawing, and is an avid movie lover. Women and men from Kitchener and Cambridge travel to our practice for both aesthetic and medical skin care from our warm and knowledgeable team. Request a consultation to meet with us in person, or call our office at (519) 472-8686 to schedule an appointment. Please note that a physician referral is required for all medical consultations and treatments. Medical consultations are a benefit of Ontario Health Insurance Plan (OHIP). Elective services offered at DermEffects are not covered by OHIP.